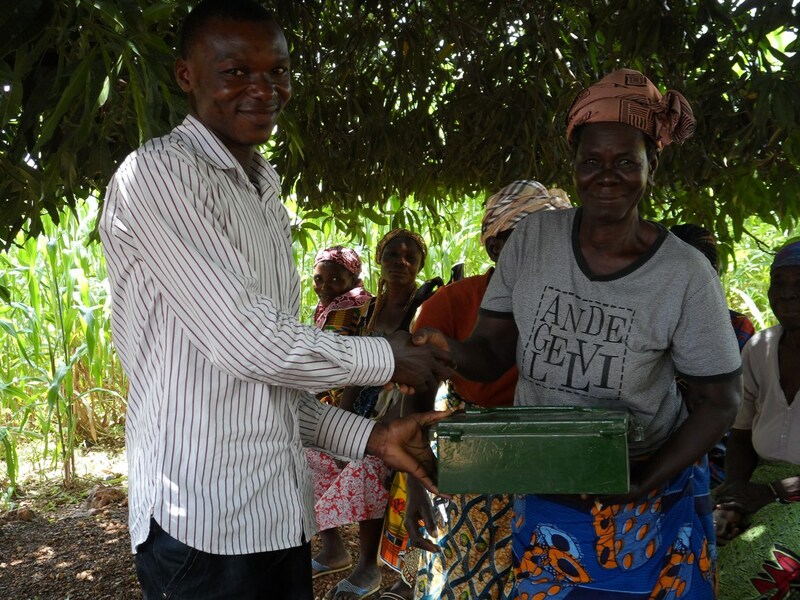 Village Savings and Loan Associations for women are one way in which Trax Ghana aims to promote gender equality. 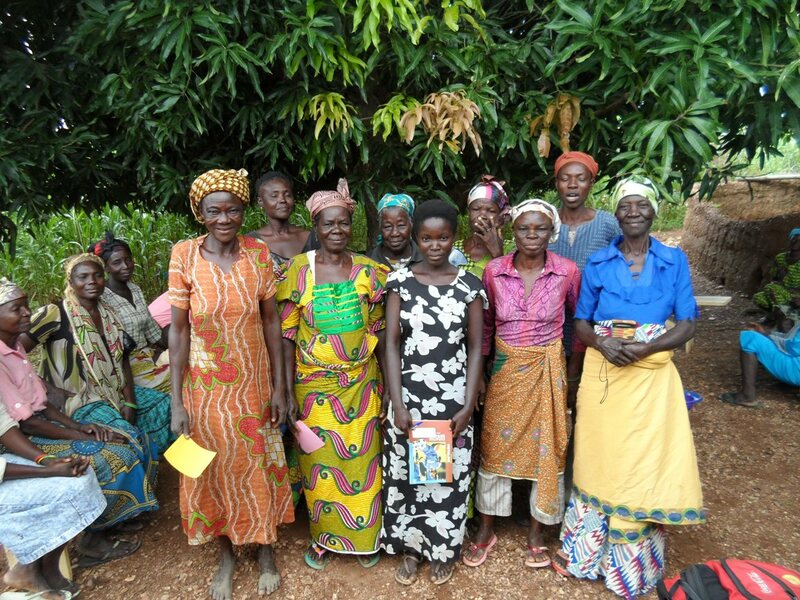 These groups of female farmers meet once a week to contribute a small amount of cash money to a fund. Later on, they can draw from this fund to obtain loans for such things as establishing businesses, paying their children’s school fees, etc. However, easy access to financial resources is but one way in which the VSLA concept makes dreams come true. What is much more important, according to Trax field worker and VSLA veteran, Solomon Abeinge, is the fact that women change their attitude towards money. Instead of seeing problems, VSLA teaches people to see opportunities. According to Solomon “poverty is in the mind:” Female smallholder farmers who face hunger seasons of more than five months per year often consider it a problem to even get 50 Pesewas (€0.12 or $0.15) to buy salt, because they perceive themselves to be very poor. After having participated in a Village Savings and Loan Association for a few weeks, however, they have absolutely no problem to get 1 or 2 cedi (two to four times as much as they needed for salt) every week to contribute to the VSLA fund. This is not because their economic standing changed, but because their approach towards money changed. They start to see opportunities. In order to encourage women even more, Solomon and three of his Trax colleagues have interviewed 25 female farmers who are preparing to form a VSLA. In order to get them to formulate a clear goal they are working towards by joining the VSLA, they were asked what they dreamt of doing with the funds available to them from the VSLA fund. The vast majority (23 of them) had plans to establish or expand their business. Seven women also mentioned savings for the education of themselves, their children or grandchildren and two women also wanted to invest in their farming activities. A Village Savings and Loan Association consists of 15-25 people who save together. The groups are managed by the members. Member save by buying between one and five shares every meeting. The value of one share is determined by the members, beforehand and can be changed at every new annual cycle. Members have the right to borrow up to three times their shares. They often choose to have an additional ‘social fund’ from which they can obtain small interest-free loans for social emergencies. At the end of an annual cycle all savings and loan profits are shared out among members according to the amount they have saved. For more information about VSLAs click here. This entry was posted in Alternative Livelihoods, gender equality and tagged Village Savings and Loans Association, VSLA. Bookmark the permalink.